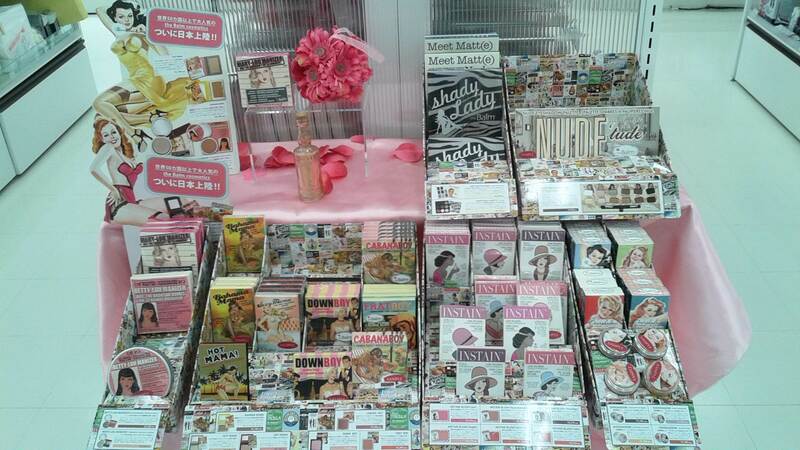 All you gorgeous girls (and guys) living here in Japan may be interested to know that on a trip to the Takashimaya Times Square Tokyu Hands half beauty floor (whew what a mouthful) in Shinjuku last month, I was surprised and excited to see a display of theBalm cosmetics there. It can be frustrating being a beauty junkie living in Japan, as some of the Holy Grail products of beauty bloggers all over the world simply aren’t available here. Benefit cosmetics, Too Faced, and Barry M are just some of the brands that have to be bought online, and until recently, theBalm as well. I don’t mind online shopping, but I really don’t like paying for shipping costs (call me stingy if you will), and something I hate even more is not being able to swatch products. If they’re not right for some reason, perhaps the colour, or they break you out, I always feel like it’s such a waste of money. And being a beauty junkie on my own here, I don’t have anyone I can pass stuff I don’t use on to. So I was thrilled, bouncing off the walls like a hyperactive squirrel, when I clapped my eyes on this new addition to the beauty floor. I stood enraptured, swatching away and taking photos, for the better part of an hour. 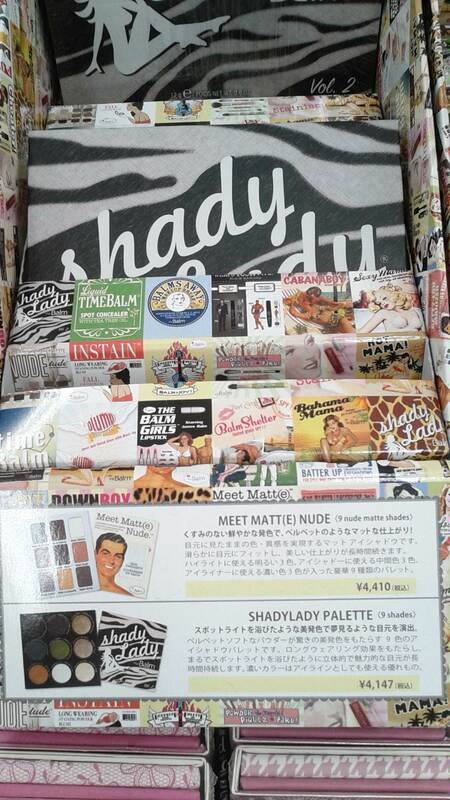 I looked so entranced that sweet little old Japanese granny stopped by and looked inquisitively at me and theBalm makeup stand. I told her that it’s a cosmetics brand based in San Francisco, and that their products are super popular all over the world and that it’s new to Japan. I’m not sure what was more amusing to her, checking out the products herself or seeing me act like Santa Claus had just brought me everything I could possibly want for Christmas, early! 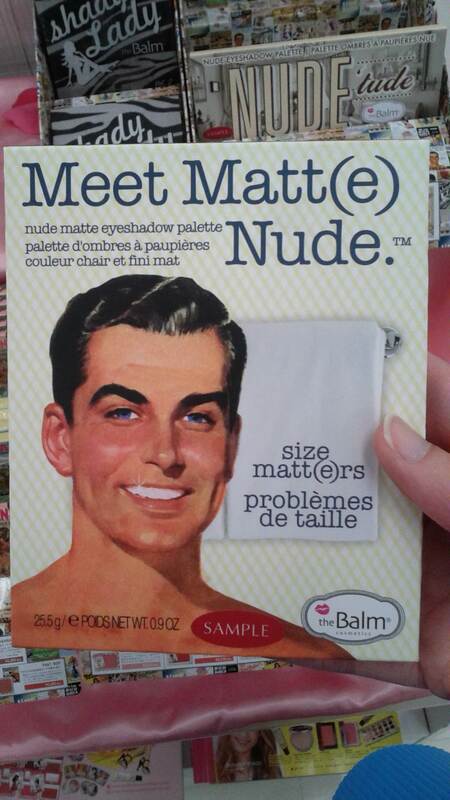 Now, for those of us who are desperate to get our hands on theBalm products, they are only a train ride away. While this has been an amazing discovery for me, it has also caused me great distress. I don’t really need anymore makeup at all; I have everything I could possibly need and want, but I’ve still found myself eyeing up Down Boy, Frat Boy and Cabana Boy, as well as Bahama Mama. The packaging is so gorgeous and I can’t get enough of it! It’s really hard, but I’m trying my best to resist. It would be like being on a diet or eating clean and having a massive, decadent, beautiful piece of the most mouth-watering and delicious chocolate cake in the world on a plate, right in front of you, and having to stare at it, and decide if you’re going to eat it or not (I would actually probably eat the cake)! So I remain torn and especially tortured, with a good girl perched on one shoulder, and a bad girl perched on the other, eternally indecisive. If you have less qualms than I do, however, it may be worth going to check it out. After all, it’s just about the right time to start making those Christmas lists for Santa! These would make great stocking-fillers, and I know I, for one, would be ecstatic to find these under my tree on Christmas Day. I’ve seen this before, although never bought it, looks cool. 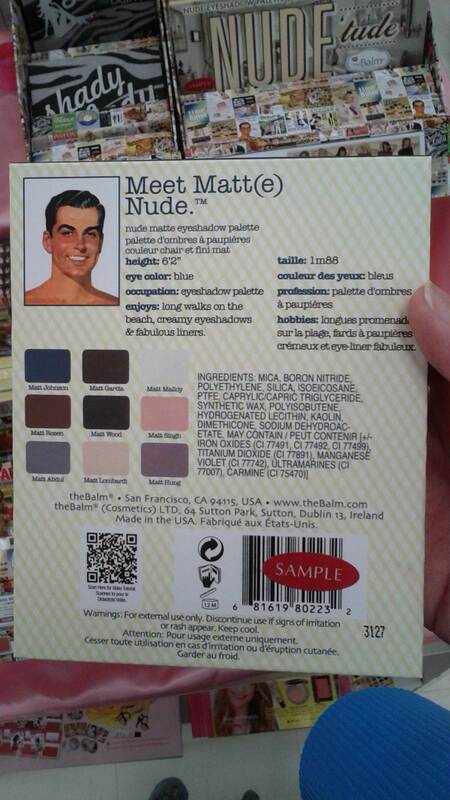 I love theBalm, they do by far the nicest eyeshadow palettes! That is an awesome find, girl!!! 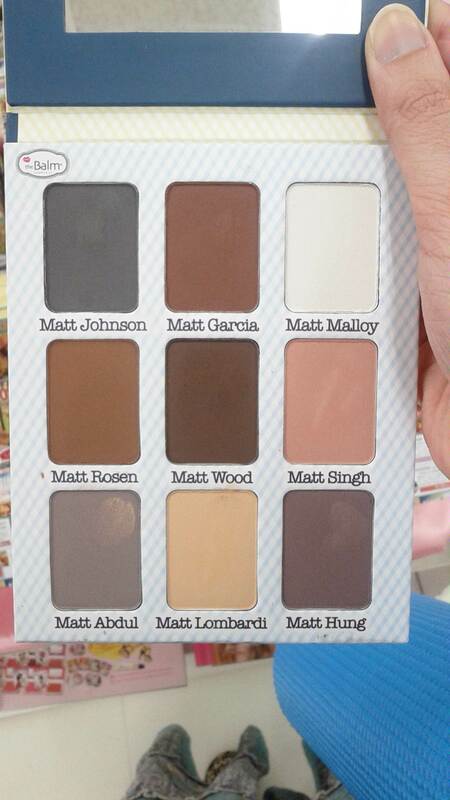 I was so close to ordering the ____ Boy and Instain blushes when they were on HauteLook, but same financial dilemma. Now that you know where you found them in Shinjuku, save up some money and then return again :D.
Wow that is some really fun looking makeup I’ll have to go there soon! Thanks for the tip, he he that granny. It’s so lovely! You must! Haha i laughed so well now!! Oh, my! 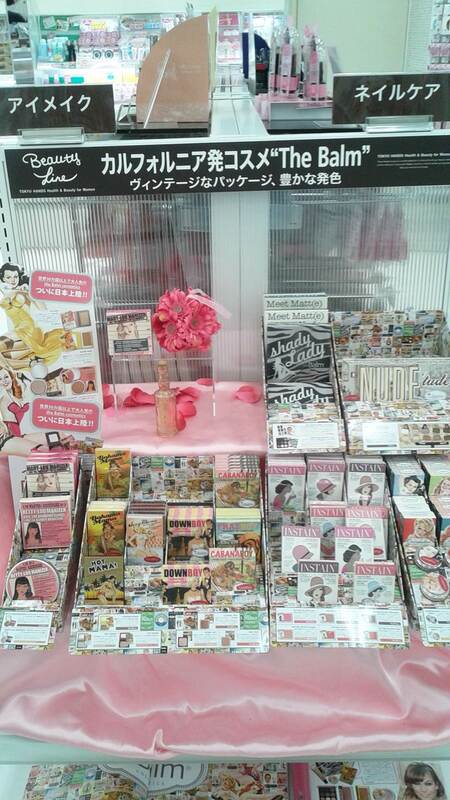 Does Japan not have a Sephora or Ulta-esque store? I mean, I’m sure there are tons of domestic brands available. I’ve actually never heard of theBalm, but if you’re a tinted balm junkie like I am, I would recommend you look into Pacifica tinted balm. The packaging alone sold me and I got the Guava Berry shade. My goal is to find the Blood Orange b/c the picture of the shade is TO DIE FOR, lol. Oh, and it smells and looks tasty!